There are so many times I wonder what it would be like to live in a different time, a "simpler" time. Oh what I wouldn't give to go back and live during the 20's, the 30's, the 40's..and on and on. What I should consider during these time traveling daydreams are the very real issues facing women during those decades. Simpler time? Hardly. In trying to keep her young charge in line Cora begins questioning her own beliefs and the societal rules that she has always followed. This book isn't one to miss. Great history, great story, great characters. I've seen quite a few bloggers talking about this book. Are you one of them? What did you think? 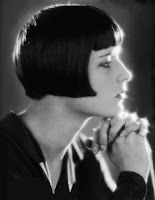 The very real Louise Brooks...read more about her here. I was waiting to see what you thought of this one. I've been seeing it around but I super know I can trust your historical fiction reviews. 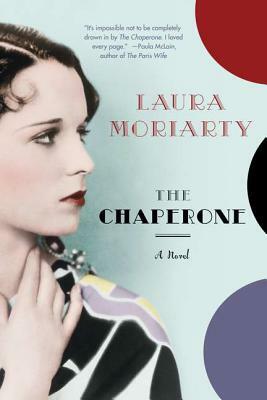 I do not like schmaltzy historical fiction. It's got to be believable. Thanks, that is a huge compliment!! I'm with you, no schmaltz allowed. (Blech) I need to believe the story, the setting, etc. I also need to feel like I'm learning as I read historical fiction. I hope you get around to this one, I'd love to know what you think of it! Fly, Book! Fly onto my wishlist! Whooo hooo! Fly quickly to the top of the list! It's a fab read, I know you won't be disappointed! I have not read this but these were interesting times and this sounds like an interesting narrative. Have you read The Great Gatsby? Of course that is the ultimate period piece set in this era. I listened to the audio of this one and it was fantastic. Seriously. One of my favorites this year. I'd enjoy a visit to the 1920s but I wouldn't want to live there. I've been seeing this book around too -- glad you liked it!